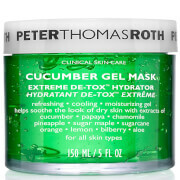 The Peter Thomas Roth Mask Frenzy Kit combines everything you need to 'mix and mask', offering six luxurious jars of Peter’s bestselling face masks. A mineral-packed skin treatment that helps reduce the look of fine lines, wrinkles, dullness and uneven skin tone. Powered by the most mineral-rich ‘fountain of youth’ thermal water on earth sourced from deep below Hungary’s Carpathian Valley, the rich and luxurious hydrating mask transforms with cool water into an invigorating flash of heat to open pores and optimise nutrient absorption. Combining bioengineered botanicals Gatuline® RC and Merospheres-V, with a cocktail of natural oils, butters and extracts, the heat mask effectively draws out impurities and feeds skin natural nutrients. The result is smoother, healthier and younger-looking skin that glows with radiance. Suitable for all skin types. An innovative formula that utilises cutting-edge plant biotechnology to help repair the signs of ageing on all skin types. Combining five Rose Stem Cells with four Rose extracts, the cooling gel replicates plant technology to perform an unrivalled anti-ageing effect on the skin. Nurturing and hydrating, the face mask works to reduce the appearance of fine lines and wrinkles whilst eradicating dullness and sagging. Rebuilding moisture barriers and refining the look of pores, the strengthening mask will help to stimulate renewal and leave your skin with a softer, more radiant and youthful-looking appearance. A soothing face mask that is ideal for skin post peel, waxing, sun exposure or extractions. The gentle yet effective formula effortlessly glides over the visage, enveloping skin in a veil of hydration. 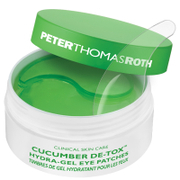 Enriched with Cucumber Extract and Aloe Vera, the gel mask offers long-lasting moisture that eliminates dry skin. A skin-loving blend of Papaya and Chamomile extracts works to comfort and soothe any irritation, whilst a generous dose of Pineapple, Sugarcane and Sugar Maple extracts perform a visible brightening effect. Transforming the look of skin in less than ten minutes, the mask rinses away easily to reveal a bright and radiant visage that appears calm and comfortably hydrated. 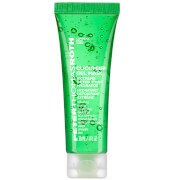 Deeply cleanses and decongests skin without stripping moisture. Its unique formula contains 9,000 year old Black Moor Mud, harvested by hand from the Irish countryside to provide a high concentration of bio-minerals, vitamins and antioxidants to help protect skin. Hijiki Seaweed hydrates skin, whilst Volcanic Ash delivers a revitalising, purifying and refreshing effect. Enriched with Activated Charcoal, the rich mask effectively removes excess oil, dirt and impurities and minimises the appearance of visible pores for a smoother, more refined-looking complexion. Experience renewed, youthful-looking skin with a natural glow. A triple action treatment that exfoliates, peels and polishes the skin for a new lease of life. Effectively combating dull, ageing and congested skin, the innovative formula helps to even out the appearance of skin tone whilst smoothing the look of fine lines and wrinkles. A powerful blend of ingredients help combat imperfections, including; Pumpkin Enzyme, a natural component that gently exfoliates; Alpha Hydroxy Acid, a peeling agent that eradicates dull surface cells, and Aluminium Oxide Crystals, an emollient used in microdermabrasion treatments to polish skin and encourage a radiant glow. A luxurious, anti-ageing mask infused with pure 24K Gold and Colloidal Gold to help improve the appearance of firmness and promote an opulent glow. Also includes skin-tightening Caffeine and Peridot, an exquisite gemstone rich in magnesium that helps re-energise the look of skin. Hungarian Thermal: Apply generously to clean, dry skin. Massage and leave on for up to three minutes, then activate the flash of heat by wetting fingertips with cool water and massage the mask into skin. Once heating sensation diminishes, rinse thoroughly. Rose Stem Cell: Apply a generous coat on clean skin. Allow to remain on for 10 minutes. Rinse with cool water. For an intensive treatment, refrigerate and apply as a mask or apply a thin layer as the last layer of skin care and leave on overnight. Use 2-3 times a week or daily for intensive repair. Cucumber: Apply a generous coat on clean skin. Allow mask to remain on for 10 minutes. Rinse with cool water. For a very cool treatment, refrigerate product. For an intensive treatment, apply a thin layer as the last layer of skin care and leave on overnight. Use 2-3 times a week or daily for intensive hydration. Irish Moor Mud: Using fingertips, apply evenly on clean skin. Leave on for up to 10 minutes. Remove with a warm, damp washcloth and rinse skin thoroughly of any remaining residue. Use 2-3 times a week, or as desired. Pumpkin: Apply a thin layer to clean skin. Gently massage in a circular motion with wet fingertips to polish with micro-polishing aluminum oxide powder. Leave on for 3-7 minutes depending on skin sensitivity and let the AHAs and enzymes work. Rinse thoroughly. Use one or two times per week. 24K Gold: Apply a very generous, non-transparent layer to clean skin, thoroughly covering entire face. Leave on for 5-10 minutes. Rinse thoroughly with warm water. Use 2-3 times a week or as desired. Hungarian Thermal: Magnesium Sulfate, Butyrospermum Parkii (Shea) Butter, Butylene Glycol, Dimethicone, Shea Butter Glycerides, Caprylic/Capric Triglyceride, Ceteareth-20, Kaolin, Zeolite, Helianthus Annuus (Sunflower) Seed Oil, Prunus Armeniaca (Apricot) Kernel Oil, Prunus Persica (Peach) Kernel Oil, Rosa Moschata Seed Oil, Prunus Amygdalus Dulcis (Sweet Almond) Oil, Simmondsia Chinensis (Jojoba) Seed Oil, Glycine Soja (Soybean) Oil, Honey (Mel), Elaeis Guineensis (Palm) Butter, Punica Granatum Fruit Juice, Fagus Sylvatica Bud Extract, Sambucus Nigra Fruit Extract, Rosmarinus Officinalis (Rosemary) Leaf Extract, Tocopherol, Glycerin, Illite, Squalane, Hydrogenated Vegetable Oil, Lecithin, Ethylhexyl Palmitate, Dipropylene Glycol, Dimethicone/PEG-10/15 Crosspolymer, Polysilicone-11, Lauryl PEG-9 Polydimethylsiloxyethyl Dimethicone, Water/Aqua/Eau, Ethoxydiglycol, Propylene Glycol, Sodium Citrate, Benzyl Alcohol, Benzoic Acid, Sodium Benzoate, Potassium Sorbate, Phenoxyethanol. Rose Stem Cell: Water/Aqua/Eau, Butylene Glycol, Propanediol, Peg-40 Hydrogenated Castor Oil, Trideceth-9, Triethanolmaine, Carbomer, Rosa Centifolia Leaf Cell Extract, Rosa Alba Leaf Cell Extract, Rosa Damascena Leaf Cell Extract, Rosa Canina Fruit Extract, Rosa Damascena Flower Oil, Rosa Canina Fruit Oil, Rose Centifolia Flower Water, Commiphora Myrrha Leaf Cell Extract, Adenium Obesum Leaf Cell Extract, Leuconostoc/Radish Root Ferment Filtrate, Glycerin, Allantoin, Aloe Barbadensis Leaf Juice, Bht, Sodium Pca, Propylene Glycol, Ethylhexylglycerin, Ppg-26 Buteth-26, Ethylhexyl Salicylate, Butyl Methoxydibenzoylimethane, Ethylhexyl Methoxycinnamate, Disodium Edta, Potassium Sorbate, Red 33 (Ci 17200). Cucumber: Water/Aqua/Eau, Butylene Glycol, Cucumis Sativus (Cucumber) Fruit Extract, Ananas Sativus (Pineapple) Fruit Extract, Vaccinium Myrtillus Fruit/Leaf Extract, Carica Papaya (Papaya) Fruit Extract, Acer Saccharum (Sugar Maple) Extract, Saccharum Officinarum (Sugar Cane) Extract, Aloe Barbadensis Leaf Juice, Chamomilla Recutita (Matricaria) Flower Extract, Chamomilla Recutita (Matricaria) Flower Oil, Citrus Limon (Lemon) Fruit Extract, Citrus Aurantium Dulcis (Orange) Fruit Extract, Mangifera Indica (Mango) Fruit Extract, Sodium Pca, Allantoin, Glycerin, Propylene Glycol, Disodium Edta, Sodium Hydroxide, Citric Acid, Carbomer, Triethanolamine, Polysorbate 20, Potassium Sorbate, Sodium Benzoate, Phenoxyethanol, Yellow 5 (Ci 19140), Blue 1 (Ci 42090). Irish Moor Mud: Water, Glycerin, Peat, Charcoal Powder, Polyacrylamide, Lava Powder, Sargassum Fusiforme Extract, Kaolin, Bentonite, Lactic Acid, C13-14 Isoparaffin, Isohexadecane, Sodium Acrylate/Sodium Acryloyldimethyl Taurate Copolymer, Dimethicone, Xanthan Gum, Disodium EDTA, Polysorbate 80, Laureth-7, Sorbitan Oleate, Sodium Benzoate, Potassium Sorbate, Phenoxyethanol, Mica (CI 77019). Pumpkin: Water/Aqua/Eau, Cucurbita Pepo (Pumpkin), Aluminum Oxide, Glycerin, Triethanolamine, Lactobacillus/Pumpkin Ferment Extract, Ascorbic Acid, Tocopherol, Retinyl Palmitate, Sodium Hyaluronate, Leuconostoc/Radish Root Ferment Filtrate, Edta Edetate Discodium Dihydrate Usp, Methyl Eugenol, Carbomer, Potassium Sorbate, Sodium Benzoate, Chlorphenesin, Phenoxyethanol. 24K Gold: Glycerin, Water/Aqua/Eau, Sodium Hyaluronate, Caffeine, Olivine Extract, Colloidal Gold, Pentylene Glycol, Carbomer, Sodium Hydroxide, Potassium Sorbate, Sodium Benzoate, Sodium Metabisulfite, Mica, Phenoxyethanol, Gold (Ci 77480), Iron Oxides (Ci 77491), Titanium Dioxide (Ci 77891).